This covered car park is a great choice if you are flying from Terminal 3 at Manchester Airport. 100% of customers who left a review would book again. 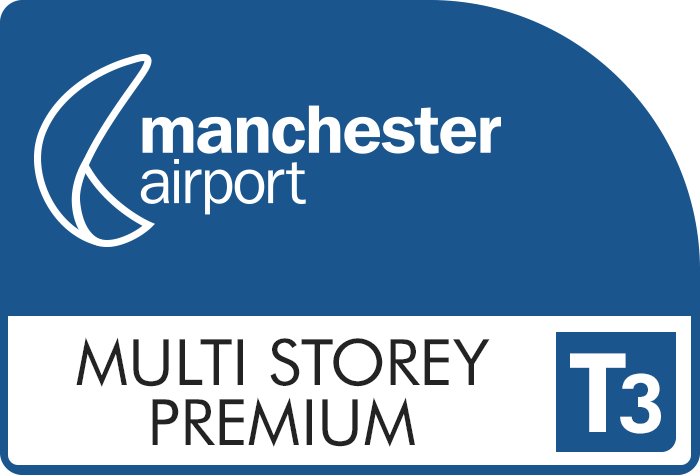 Multi-storey Premium is rated, on average, 5 out of 5 by 2 Airparks customers. You can find the full reviews on our Terminal 3 Multi Storey Car Park reviews page. Get affordable parking and a roof over your car's head with just a short walk to the Terminal for yourself. To check live pricing and availability enter your required parking dates at the top of the page and when you're ready to arrange parking at the Multi Storey car park you can do so through our easy online booking. You can see our full range of parking on our Manchester Parking page. Drive directly to the car park and up to the entry barrier which will automatically recognise your numberplate and lift to let you in. Find an empty space and park up, you keep your keys at the Terminal 3 Multi Storey car park so your car will stay just where you left it. Top Tip: Make a note of where you parked as this will make it easier to find your car when you return. When you've grabbed your luggage it's just a short stroll to the airport and on to your holiday! Stroll back to the car park where you'll find your car exactly where you left it. Drive to the exit barrier which will read your numberplate and lift to let you out. There are designated Blue Badge bays in the car park, these are all signposted and work on a first come, first served basis. You'll need to display your badge while you're away. The Terminal 3 Multi Storey Car Park has a 2 metre height restriction. If there is a delay in collecting your car you'll need to pay for the extra parking at the car park's standard rate of £25 per day. If you collect your car early we cannot give you a refund.